Germany car companies are definitely the best in the market and so are their technology. 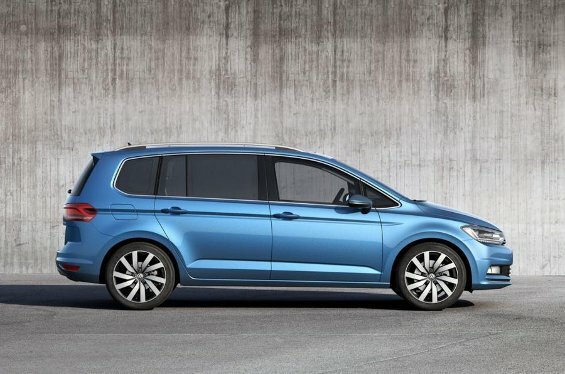 One of the world's biggest automotive group Volkswagen also belongs to German and the group have some seriously insane cars, but it's not short when it comes to the Multi Utility Vehicle and the company has just announced a facelift for the its top-selling MPV Touran for the Geneva Motor Show 2015 which is going to start from March 5th. The car has received many changes on the interiors and exteriors to make it look better from its predecessors and keep it afloat on the top of the selling chart in the MPV, in Germany atleast. Coming to the changes, the outside of this new MPV now is 130 mm longer and has 113 mm increased wheelbase as well. There also are LED headlamps, new metal sheet to make it look sharper and new tailgate opening system as well. Inside the car, it's now more spacious than ever with availability in both 5 and 7 seats, 48 Litre increased cargo capacity of 1,040 Litre and it goes up to 1,980 Litre once you've fold the seats. Under the hood, it'll be available in 3 petrol and 2 diesel fuel options with 1.2 Litre 110 hp, 1.4 Litre 150 hp and 1.8 Litre 180 hp for petrol version and for diesel, there will be 1.6 Litre TDI engine producing 110 bhp and 2.0 Litre producing 150 hp and 190 hp power. Also, there would be additional tune ups to make the car efficient by nearly 19%.